keep on doing similar professional YOU upload real beautiful picture'S. Nice! you don't see this kind of butterfly shot everyday. Take that as a compliment! Really lovely shot. Wonderful colours. This is so gorgeous it nearly hurts. Really exquisitely gorgeous. Nothing in the world is this real, is it? These colors are just stunning. 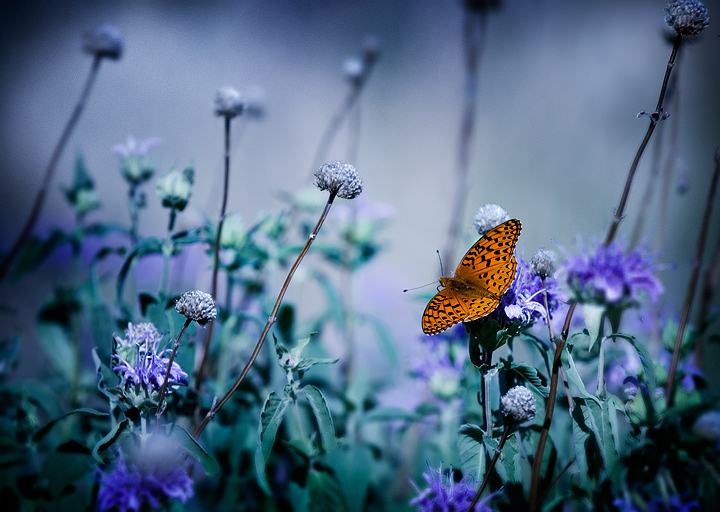 The clarify of the butterfly and the soft blur of the flowers is gorgeous. Very nice composition. I like the way the butterfly stands out from the purple tone. Absolutely beautiful - love the contrasting colors and the mist-looking background! Not sure I care for the treatment and vignetting, but that's a personal preference thing. One of my favorites of this challenge. Absolutely beautiful. Very nice processing on this; really does the butterfly justice. SWEET! Such a nice photo...very interesting colors and totally amzing DOF! lovely. the butterfly really pops. Gosh this is lovely! I love the hot butterfly surrounded by soothing color and tones...very nice. Oh, and the title is perfect. love the tonality of this, impressionistic. Proudly hosted by Sargasso Networks. Current Server Time: 04/20/2019 02:38:08 PM EDT.